Who are your favourite YouTubers/channels? My list of favourites have gone through many changes, I started with watching cooking channels and a year or so later, I finally started dipping my toes into beauty channels. I can't even remember which beauty channel I started watching but only three remain on my favourite list until today; Lisa Eldridge, Wayne Goss and finally, A Model Recommends aka Ruth Crilly who is one of the creators of COLAB Dry Shampoo. Two years ago, I bought and tried one of the COLAB original launches, I believe the scent was London but it didn't impress me at all. It smelled lovely but it didn't do much for my hair and I actually felt that it made my hair feel greasier! Needless to say, I never revisited the brand until recently when a lovely PR package arrived on my doorstep. 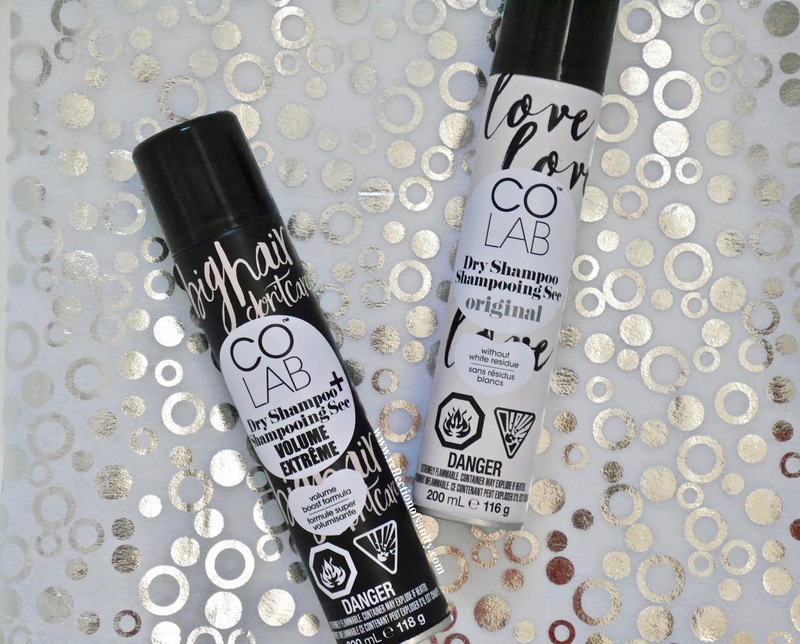 By now those of you who follow me on Instagram already know that I am head over heels in love with COLAB Original Dry Shampoo*. 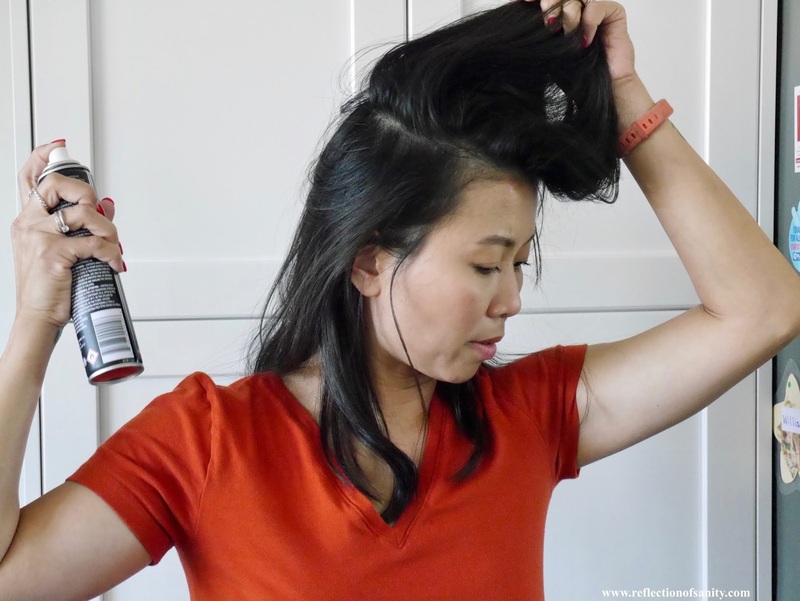 The scent is not overpowering, it leaves my hair feeling clean but without the heaviness and powdery residue that you usually get from an aerosol dry shampoo. On top of all that, there is zero white cast so it's perfect for my dark hair. The only downside is it doesn't give me as much volume as I hoped it would. 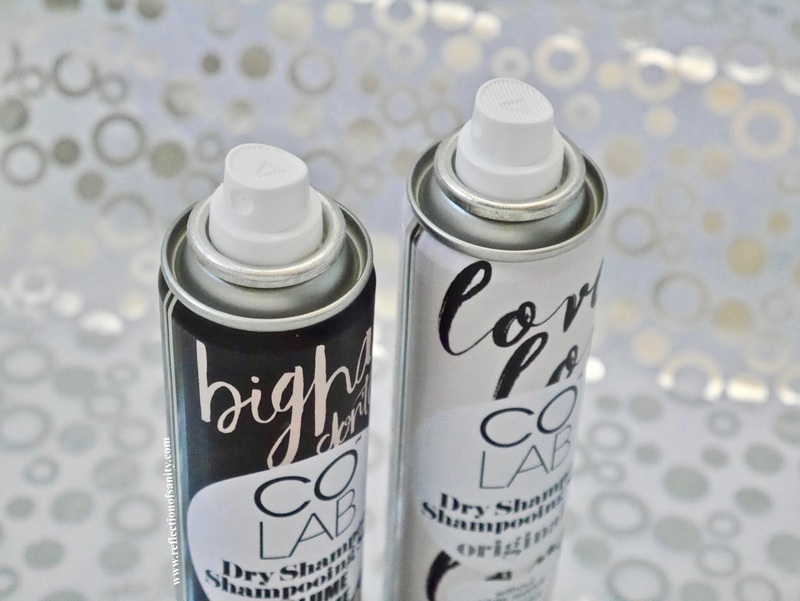 COLAB Extreme Volume Dry Shampoo* is everything the original version is but with major volume! It gives me crazy big hair and the effect lasted the whole day which was a remarkable feat for my thin and very fine hair. The only downside I could think of is I sometimes overspray and my hair will feel a little powdery and crunchy. Honestly it took me a very long time to fall in love with dry shampoo, I have always loved the squeaky clean feeling of freshly washed hair and no product will ever replace or even come close to that effect. Now wiser and my scalp has become more sensitive to sulphates, I wash my hair once every three days and stick to dry shampoo to keep my hair feeling fresh in between washes. COLAB definitely renewed my faith in the brand with these two options and I look forward trying the other scents! How often do you wash your hair in a week? And what's your favourite dry shampoo?